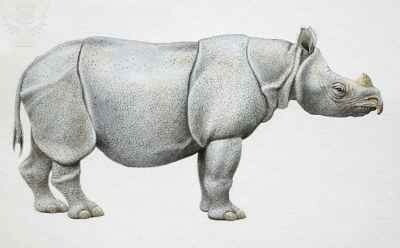 The Javan Rhinoceros has tough, gray skin, is about ten feet long and weighs 1.5 to 2.2 tons! These animals also have a single horn on their heads. 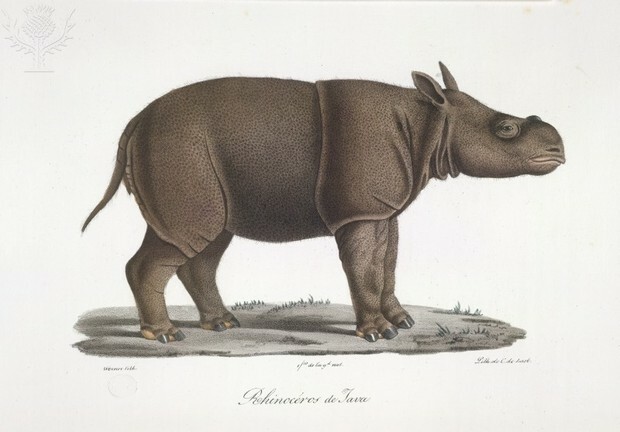 The Javan Rhinoceros has very bad eyesight, but has a great sense of smell! HELP US WORK TOGETHER TO PROTECT THE JAVAN RHINOS! The Javan Rhinos like to live in low-lying areas in tropical forests. They love muddy places with lots of water--to "wallow" in the mud and submerge their bodies in water (except for their heads)! They eat fruit, twigs, foliage and fallen fruit from the trees. The Javan Rhino lives to be just 21-years-old. The Javan Rhino now only lives in Western Java, but use to flourish in Bengal, India, and Southern China. THERE ARE ONLY 50-60 JAVAN RHINOCEROS LEFT IN UJUNG KULON NATIONAL PARK! 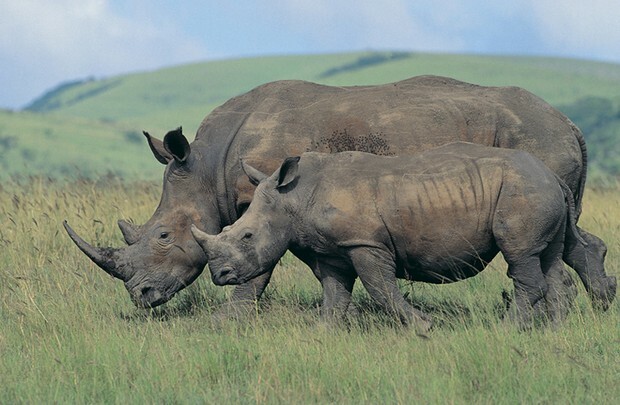 WHY IS THE RHINOCEROS ENDANGERED? WHAT CAN BE DONE TO HELP SAVE THE RHINOCEROS FROM EXTINCTION? We need to stop the poaching/hunting of the Javan Rhinos for their horns, even in the reserve parks. 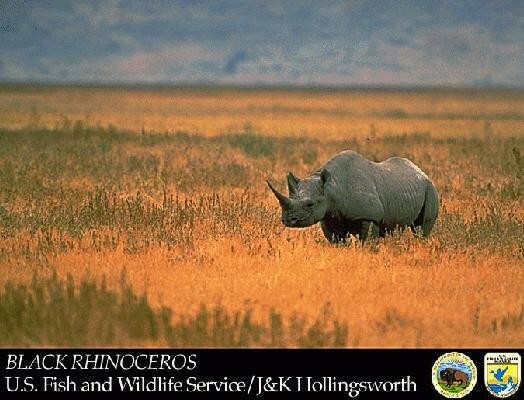 These Rhinos will only survive if we keep up our conservation efforts in protecting them in these reserves. 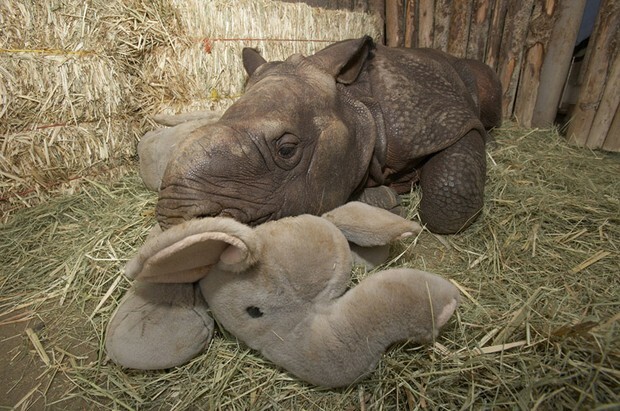 PLEASE HELP US SAVE THE JAVAN RHINOCEROS--WE NEED YOUR HELP!